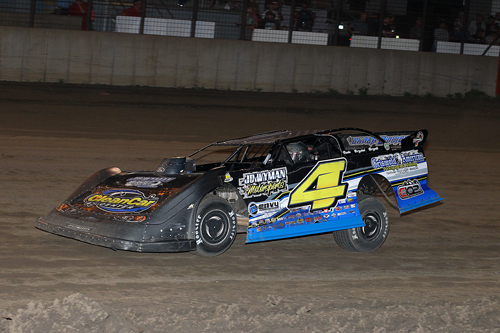 Chad Simpson of Mt. 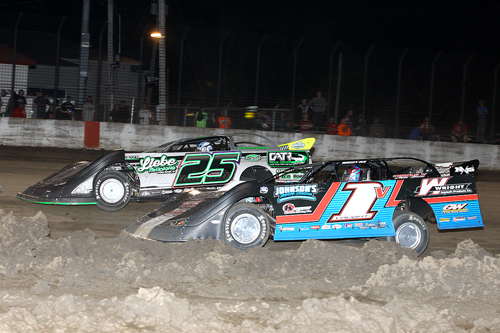 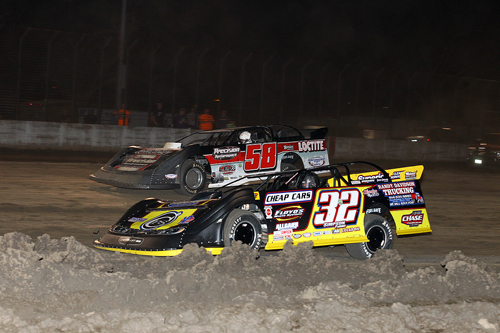 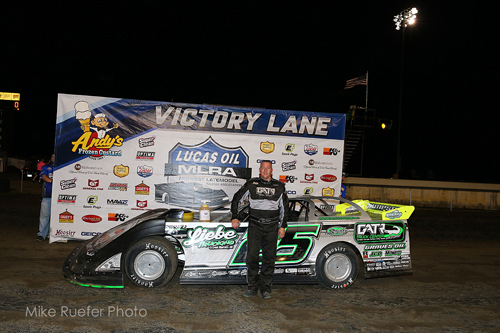 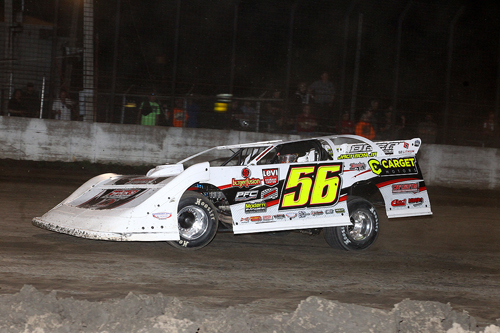 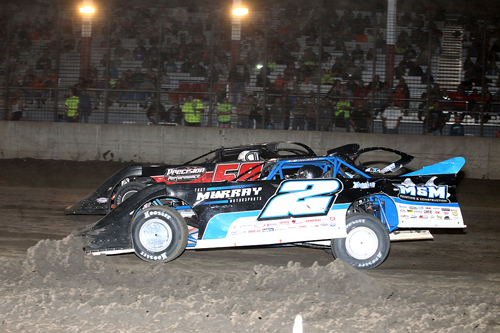 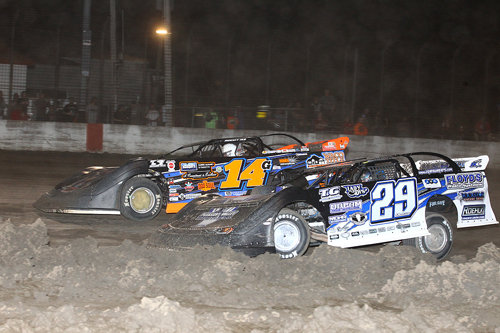 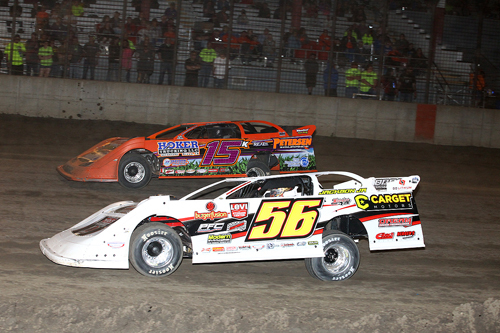 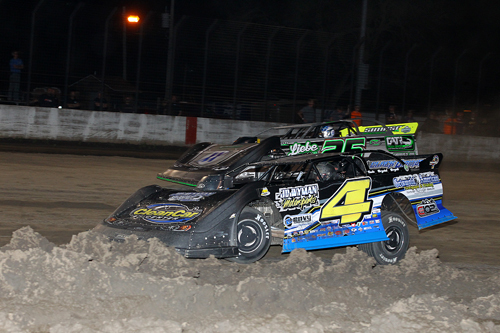 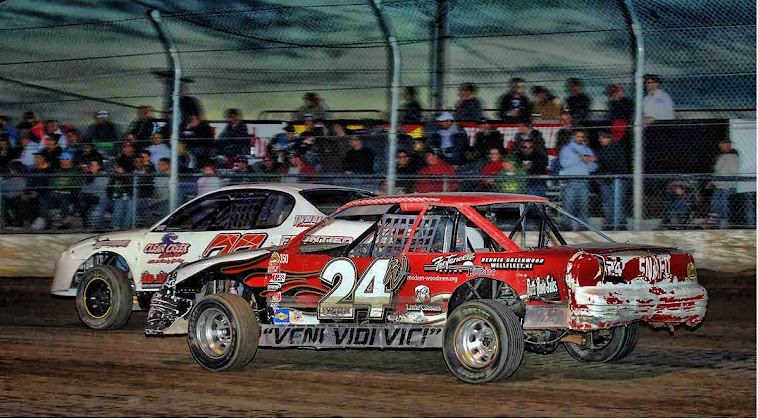 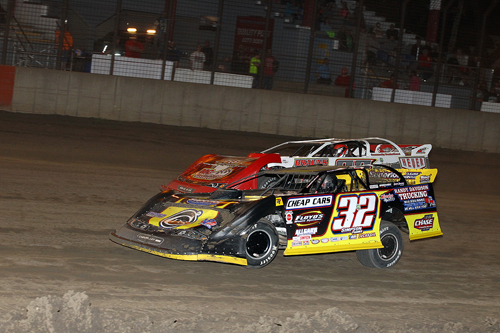 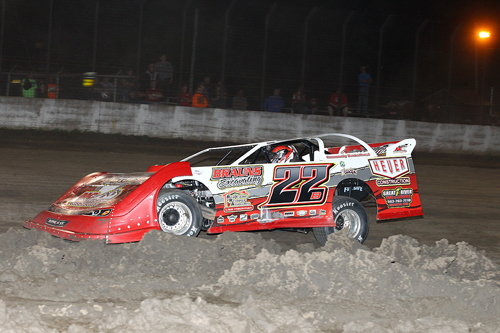 Vernon, IA, dominated the quarter-mile of Davenport Speedway to win the MLRA Late Model 40-lap main event. 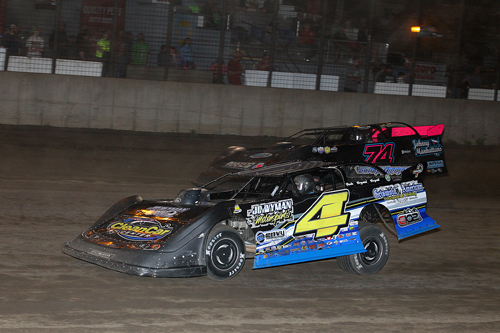 J.C. Wyman #4 and Chad Simpson #25 battle for the lead. 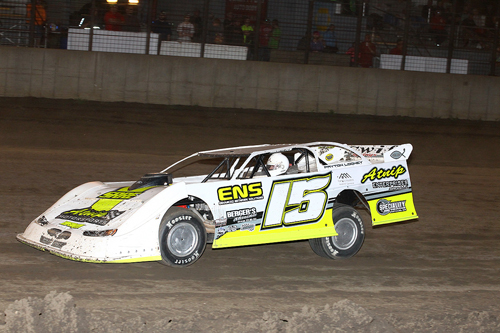 Nebraska's J.C. Wyman drove to an impressive runner-up finish.